What should children learn in school? It's a question that's stirred debate for decades, and in 1974 it led to violent protests in West Virginia. Schools were hit by dynamite, buses were riddled with bullets, and coal mines were shut down. The fight was over a new set of textbooks. The nation’s most violent protest over public school textbooks began with an apparently straightforward event—the selection and adoption of books for the 1974-75 school year. The textbook supporters generally believed that in an increasingly global society with interconnected economies, students needed to have access to the languages and ideas of diverse cultures. This included an obligation to challenge existing belief systems as well as to question the U.S. government. This concept was especially powerful in 1974, when the Watergate scandal was about to bring down a presidency. For years, many social conservatives and Christians had felt excluded from the American education system—because of liberals like American Atheists founder Madalyn Murray O’Hair. Murray O’Hair had led a campaign against school prayer, and in 1963 the United States Supreme Court declared school-sponsored Bible reading and prayer to be unconstitutional. In the eyes of conservative Christians, their religion had been replaced in classrooms by another belief system: secular humanism. Those frustrations boiled over in Kanawha County in the summer of 1974. You can download the radio program or read the transcript. 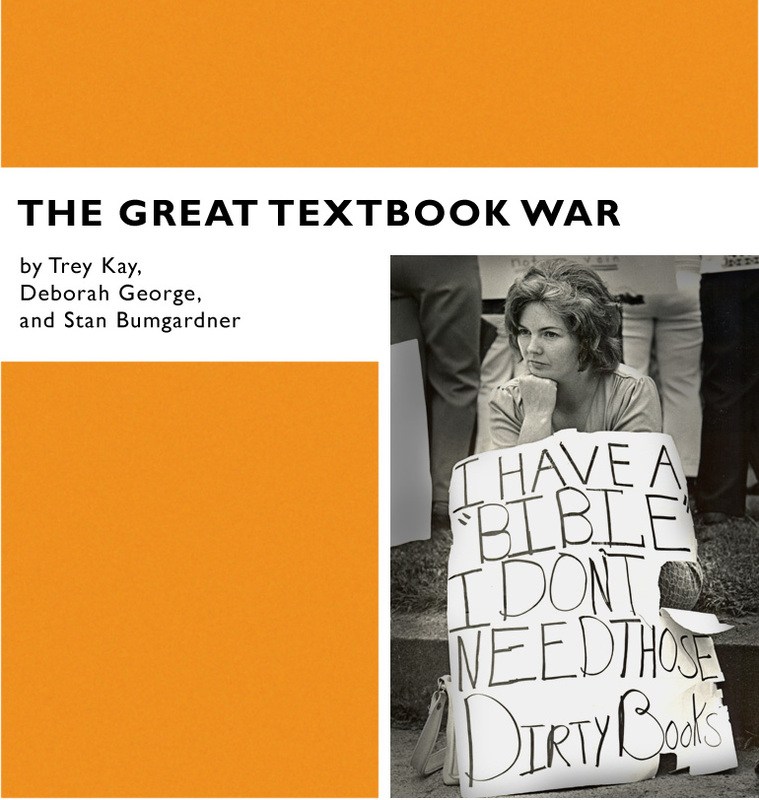 The Great Textbook War is a 2010 Peabody Award recipient. Support for The Great Textbook War comes from The Spencer Foundation.